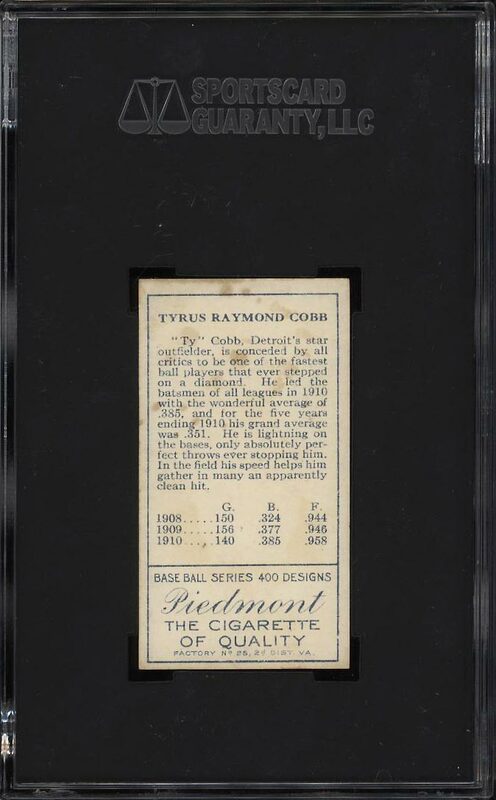 Easily the finest conditioned T205 Cobb we've sold in years, boasting many attributes of a NRMT or better card including chipless edges and four very well preserved corners throughout. Never does this card surface with such find attributes. A small around of product staining, in our opinion, is all that downgrades from an eye appeal perspective. All told this shows as one of the finest T205 Cobbs in the world and display qualities tough to reproduce. 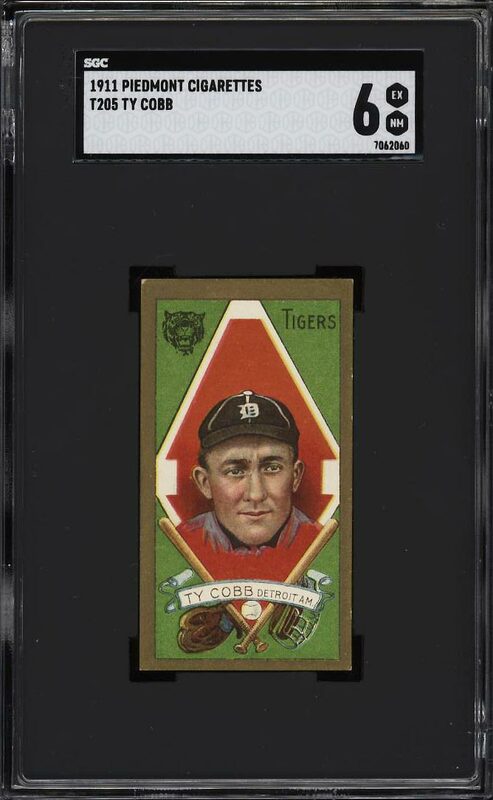 One of over 16,000 cards, lots and sets up for bid in our 1st Auction of 2019. Click on the link above to view the other PWCC auction lots.